Sculpture Garden, 2016 © Photo by Gancarz Photography. Courtesy Boca Raton Museum of Art. 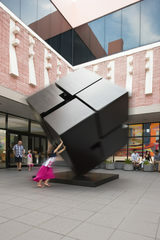 Marty's Cube, 1983 Painted Steel 168 X 137 X 137 Inches © Tony Rosenthal. Photo by Eduardo Chacon. Courtesy Boca Raton Museum of Art. 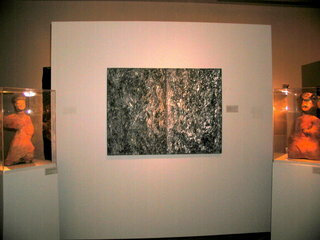 Modern & Contemporary Gallery © Photo by Eduardo Chacon. Courtesy Boca Raton Museum of Art. Studio Glass Collection © Photo by Eduardo Chacon. Courtesy Boca Raton Museum of Art. 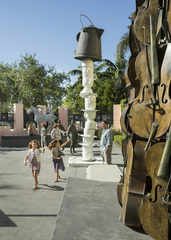 The Boca Museum of Art celebrates, presents, interprets, collects, preserves, encourages, and inspires creativity. 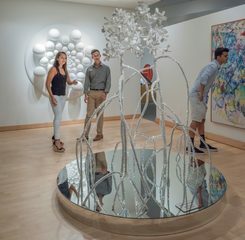 The Boca Museum of Art envisions itself as the inclusive, dynamic, and engaging cultural and educational nexus for the community that values art for its incomparable expression, documentation, and reflection of human aspiration and achievement.